What’s Poppin’ Tonight! #ArtBasel2015 @WhosWhoPresents #HouseOfHipHop Basel Kick Off Hosted by The Game at Mokai Lounge ~ Phresh Hott New! Tonight! 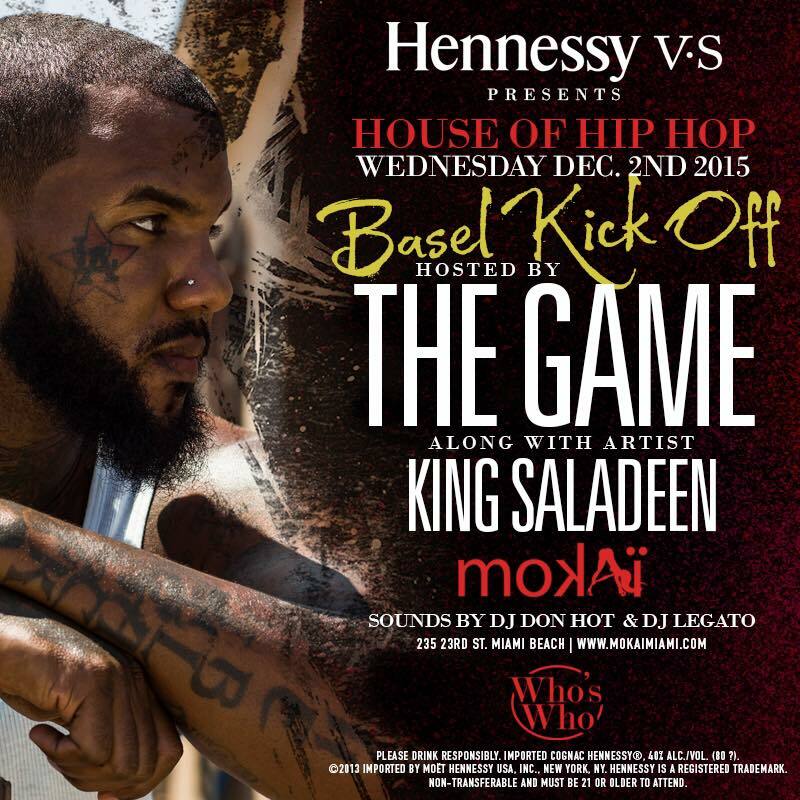 Don't miss this #ArtBasel event tonight with #TheGame at Mokai along with Artist @kingsaladeen. Brought to you by Hennessy. Sounds by: DJ Don Hot | DJ Legato | + More!